As an Aussie watching le Tour it’s become customary for my viewing focus to be laser pointed a dozen or so positions down the peleton looking for the stooped riding style of Aussie legend Cadel Evans to make sure he was still in place and everything is right with the world. As we all know though Cadel isn’t at this years Tour deciding instead to focus his efforts on May’s Giro d’ Italia and will later contest the Vuelta a España as a lead in to the World Championships, so for the first time in 10 or so years I came into my watching of this years tour looking forward to relaxing a little more, enjoying the sights and sounds of the world’s most famous cycling race, and definitely not being a nervous wreck every time someone touched a wheel anywhere near the BMC team leader. When it comes to those sights and sounds we’re incredibly lucky in Australia to have SBS covering the event, and I lap all of it up. From Mike Tomalaris’ obvious excitement before and after stages with a wide array of well credentialed guests, to Gabrielle Gaté’s always enjoyable prelude cooking segments Taste le Tour (though I do miss Gabrielle’s twin brother the Gendarme Francois) to the brilliantly informative commentary of Aussie Matt Keenan and Brit duo Phil Liggett and former pro Paul Sherwan, le Tour just wouldn’t be le Tour for me if watched without any of them. Anyway early on my plan was working out beautifully. Around 11pm Melbourne time of each of the first 4 stages following the Grand Depart in England I’d make the mandatory coffee and tour snacks (the riders eat after all!) and settle in to a relaxing night of viewing learning about the English and French countryside and their history while a bike race passed in front of it, until the drama filled sprint finishes shook me back into cycling reality. Then on Stage 5 Team Sky leader and reigning Tour champion Chris Froome went down twice in the rain, after also crashing the day before, and was forced to retire from the event with what was later revealed to be a broken wrist – and everything changed for me. Suddenly Sky’s decision to not include 2012 Tour winner Sir Bradley Wiggins in its team meant that unassuming Tasmanian Richie Porte would become the leader of the biggest cycling team in the world, and I was right back to full concentration on every pedal revolution and full nervous energy every time someone crashed in front of the little guy in black. 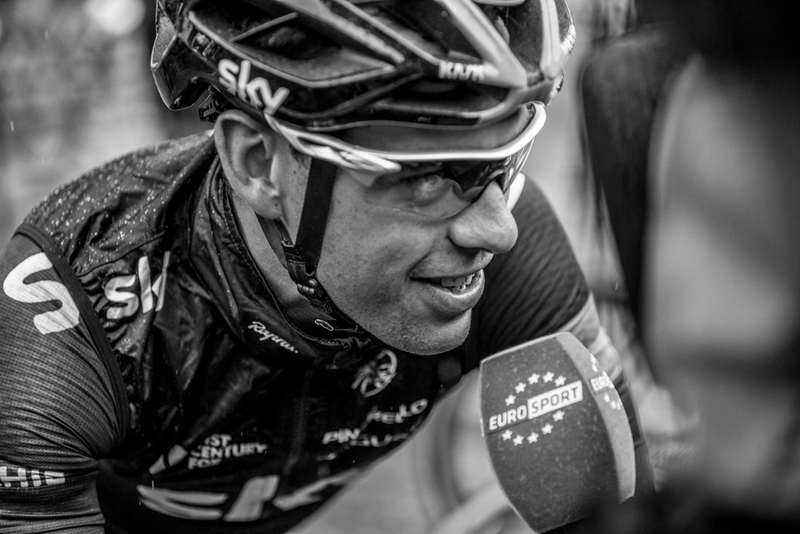 Porte has long been considered a future Grand Tour contender since winning the Best Young Rider Classification at the Giro in 2010, but his decision to renew his contract last year with Sky meant that any ambitions at le Tour were going to be put on hold for a while at least, with both Froome and Wiggins above him in the pecking order. Ironically he was slated to lead Sky into this year’s Giro until a bout of gastro put paid to that, but it may turn out to be the best thing for him as riders who challenge hard in the Giro in May are rarely able to back up and compete for the win in France in July. Now that the leadership has been thrust upon him due to Froome’s unfortunate retirement he might well appreciate those fresher legs. Can Richie win the Tour? With passionless evaluation it seems that both last years Giro winner Italian Vincenzo Nibali and Porte’s former teammate and two time Tour champion Alberto Contador are slightly in front of him in terms of absolute climbing ability at this stage, so if both stay healthy and upright it’s likely Porte will be aiming at best for a podium, which in itself would be a phenomenal result. More realistic is a finish inside the top 10, something only two Australians in Evans and 80’s trailblazer Phil Anderson have managed. But if Froome crashing out proves anything, it’s that nothing is set in stone in the 3 week torture test across France. We’ll know a lot more about Porte’s chances after tonight’s brutal 10th stage, the first real mountain finish of the Tour so far featuring four torturous first category climbs. Another who didn’t manage to stay upright through the first few stages, though not through his own doing, was Orica-GreenEDGE rider Aussie Simon Gerrans. Gerro as he’s affectionately known was brought down in the sprint for the win of the first stage by Brit Mark Cavendish, who just happens to be third on the all time winners list for Tour de France Stages. The accident was clearly Cavendish’s fault and he so apologised to Gerrans before making his own way into retirement with a dislocated shoulder from the crash, but sadly that didn’t make the Aussie’s wounds heal any quicker blunting his usual attacking flare through the first week of the event. Orica-GreenEDGE are going OK though and will be looking to ramp things up in this second week, well once the race moves out of the high mountains anyway. They’re a great team both in ability and personality (if you haven’t seen their ‘Backstage Pass’ features they run during all their racing stages we highly recommend it) and genuinely do Aussie cycling proud on the world stage. Their non-Australian riders become sort of honorary Aussies in my eyes when on the bikes, and I happily cheer Gerry Ryan’s team that is so well led by Aussie Matt White on every time they are in with a shout at a stage win. They’ve unearthed a great young General Classification talent in recent times too, with 21 year old Brit Simon Yates looking every bit the future Grand Tour contender. He’s too young at the moment, but has a heap of ability as does his twin brother Adam who also rides for OGE. Yates will likely be withdrawn from the race by the team long before Paris this year in order to look after his young body, but he’s definitely one for the future. Maybe OGE can find a way to convince Cadel to come over to lead the Aussie team into the Grand Tours for a few years while Yates develops? One can dream. Aside from Richie and OGE we’ve seen plenty of incredible racing already including big German sprinters Marcel Kittel winning three stages and André Greipel one, and most recently a superb solo win from another German in World Time Trial Champion Tony Martin. 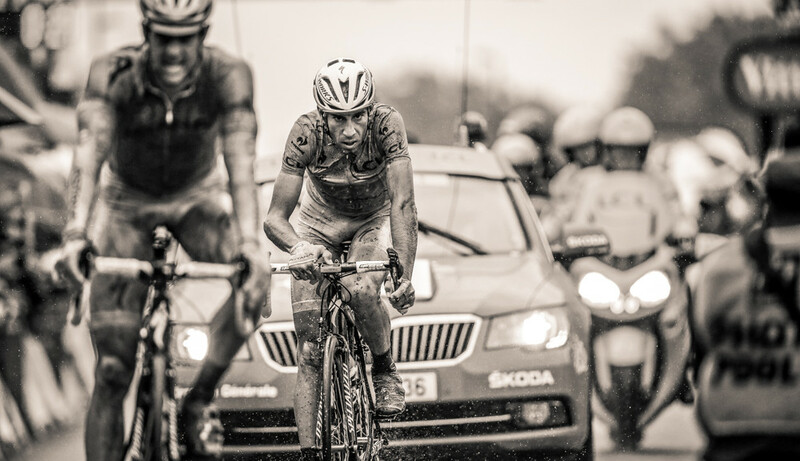 There’s been plenty of rain, and Stage 5 will be one that is long remembered as one of the most brutal in recent times, the combination of pouring rain and several cobble stone sections made for horrible riding, lots of crashes, and riveting viewing. No one was sleeping watching that stage, though the same can’t be said for a few of the sprint stages with little happening in the middle of them. The trick, I’ve learned, is not to lay down on the couch but rather stay upright, laying down early in a sprint stage often leads to waking up just as the champagne is being sprayed requiring a quick rewind on the trusty DVR. Today is Bastille Day in France and for tonight’s 10th stage we have a Frenchman in Tony Gallopin leading the greatest of French races on the French national day, something very rare in this truly International modern era of cycling. For at least another few weeks the couch is the place to be. Just stay upright.